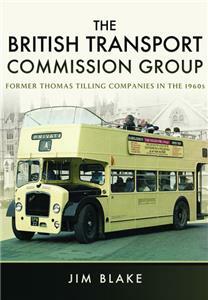 This fascinating and informative book looks at the Tilling Group of bus companies during the 1960s. These operated approximately half of the inter-urban and rural bus services in England and Wales, and were nationalised by Clement Attlee's Labour Government in 1948 under the control of the British Transport Commission. Ownership passed to the Transport Holding Company Ltd in 1963, though the fleets remained under Tilling Group control. During the period covered by this book, the operators within the group had very standardised fleets, with the vast majority of their buses and coaches having Bristol chassis and Eastern Coachworks (ECW) bodywork. This was a result of these manufacturers also having been nationalised and controlled by the BTC and THC. However, some Tilling Group operators still had earlier vehicles with, for instance, AEC or Leyland chassis, which were acquired prior to the requirement for them to buy only Bristol products, whilst some also had coaches with Bedford or Ford Thames chassis built in the 1950s and 1960s. Unlike the BET fleets throughout England and Wales, most Tilling fleets also had highly standardised liveries, either of red with cream relief, or green with cream relief for their stage carriage buses, or the reverse of this for their coaches. There were some exceptions, though. The most obvious ones were Midland General and Notts & Derby, whose livery was an attractive dark blue and cream; as well as the Royal Blue coaches of Southern and Western National and the maroon and cream coaches of Thames Valley subsidiary South Midland. All Tilling Group companies became part of the National Bus Company in early 1969, and before long their traditional liveries became just a memory when the NBC imposed standard red or green liveries. Throughout most of the 1960s, Jim Blake travelled to these operators and photographed their vehicles, and spent many summer Saturdays at London's Victoria Coach Station, where their service buses as well as express coaches could be seen. He was fortunate to capture much of this changing transport scene on film, and presents some of these photographs in this volume. Many have never been published before.